But here is my first doodle! 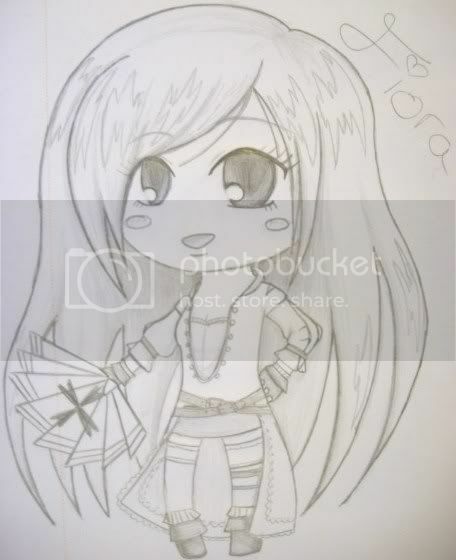 Fiora Cavazza 'The Courtesan' from Assassin's Creed Brotherhood. 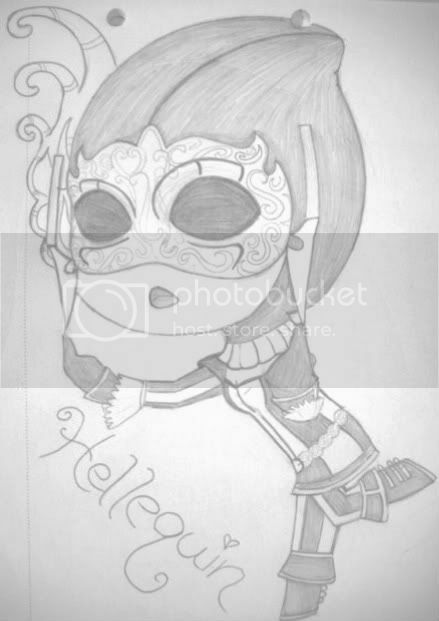 Caha 'The Hellequin' from Assassin's Creed Brotherhood. 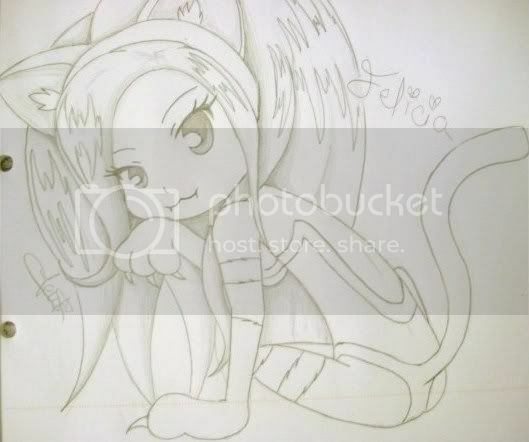 Also another wonderful fanart! Great job, Jeni-Chan! I don't care if they're just doodles, they're still amazing. I like your latest drawing, Wednesday! Wonderful pic of Felicia, Jeni! XD You're very talented. She's sooo cute. XD And this pic in particular looks kind of similar to another piece you did. I don't usually like Felicia (or cat-girls in general), but you made this one extremely well! Great job!